A Super Bowl weekend that included a day at the beach with good friends visiting from Michigan. What's not to love about that? 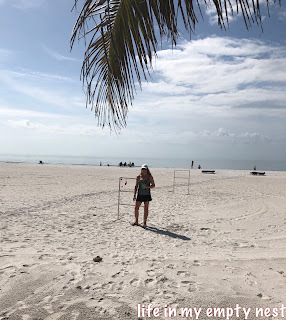 We headed about one hour north on Saturday, to the Clearwater Beach area and spent the day in the sun at a condo just steps from a white sandy beach. We drank tropical drinks, had a barbeque, played some beach games and generally caught up with each other. 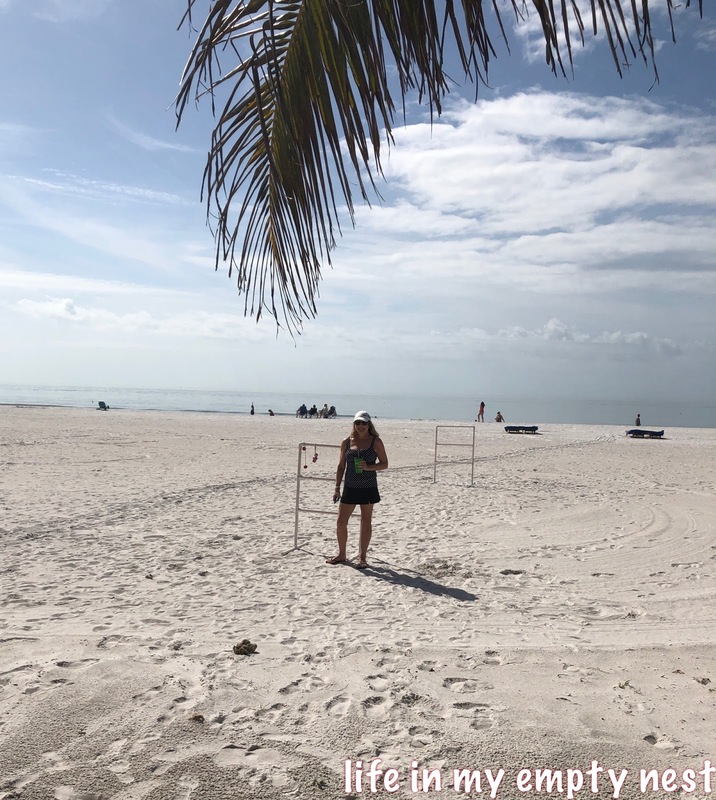 We love living in Florida, but it is far away from our friends and family. Days like this, where friends visit, remind us that though we don't live in the same state any longer, the connection is always there and really just a plan trip away, either direction. 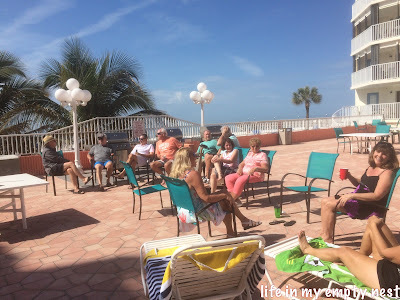 Sunday night we went to a Super a Bowl party with some Florida friends and it was so nice to enjoy the game poolside. The game itself was not the most exciting, but the company was good and it was fun to comment on the commercials and the halftime show with a group. We had one Patriots fan and the rest were ambivalent, but we picked squares that paid each quarter, so that kept our interest. 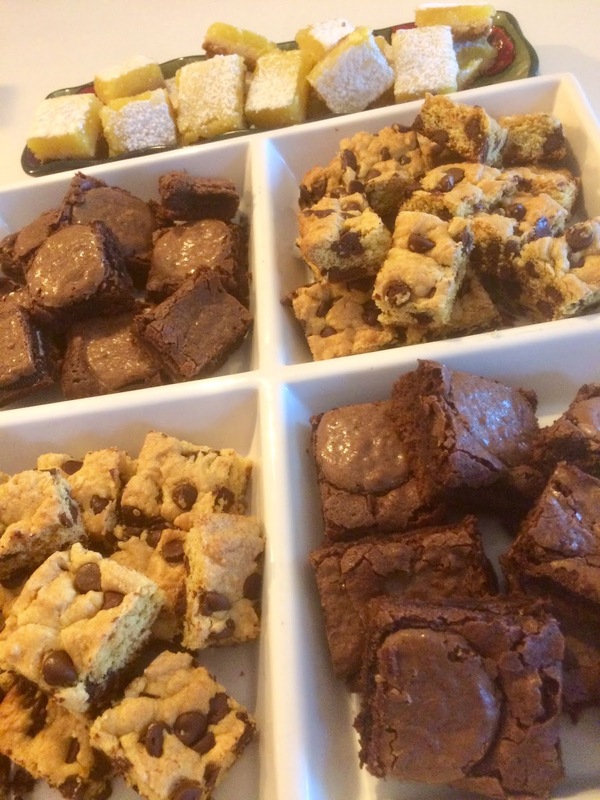 The dessert tray I took was a hit, and included Oreo Brownies, Lemon Squares and Chocolate Chip Squares. When asked to bring dessert, I like to bring small bites, rather than a bigger dessert. I find people will turn down a big slice of cake, but usually will say yes to a cookie. Sounds like fun times. The desserts look perfect for me. Not able to respond by email, but thanks for the comment. Sounds like a great weekend! We enjoyed some Super Bowl snow here. Great idea for the bite size desserts! It still feels strange to be outside on Super Bowl Sunday! Oh yes, the BEACH is calling my name:) Sounds like you had a great time with friends, old and new. Have a beautiful day dear friend, HUGS! Looks like a wonderful time. I went to bed before it was over, work is early for me on Monday's.